For ages, gap year has been a concept meant for the ‘young and the restless’. Now, however, mid-level professionals are increasingly opting for a gap year – especially to study – and this is an emerging trend that is likely to stay here. As our understanding about the meaning and purpose of work changes, taking a gap year is considered an opportunity to recover from burnout, recharge one’s batteries and refocus one’s energies. Although the decision to take a break from work to pursue educational opportunities can be immensely rewarding, it also comes with its own set of risks and disadvantages. In this article, we attempt to give you a picture of both the pros and cons of taking a gap year to study. If you’re a mid-level professional considering a gap year, ask yourself the following questions. The answers you come up with could help you make a rational and ultimately rewarding decision that aligns with your career strategy and personal goals. In addition, going back to student life can make you more resilient, self-reliant and self-sufficient. These competencies are highly valued in workplaces all over the world. Besides, being amidst students younger than yourself can help you enhance your leadership and mentoring skills. Thus, taking a gap year can open up new career opportunities and make you more valuable to future employers. Moreover, once you yourself know the purpose of your gap year aspirations, you will find it easier to communicate its positive outcome to others through your résumé. Developing such useful skills can make you more confident about your own abilities and talents. It can also make you more empathetic towards others and give you a deeper understanding of the world around you. By its very nature, a study abroad gap year is meant to change a person’s focus from work to education. Although obtaining particular knowledge and gaining specific skills are prerequisites for every career in the world; the scope and breadth of learning is severely limited by the type of work it is tailored to. For example, a computer engineer is not trained in wood-cutting or baking skills. Similarly, a dentist does not need to know how to design a logo, book cover or silk-screened T-shirt. Also, work-related learning is often ‘passive’ and not always transferable to another job or career. No one would expect (or trust!) a computer engineer to do a root canal or a baker to install a bathtub or shower head! In contrast, learning as a student involves a different set of competencies, methods and techniques which can introduce you to the joy of learning, not only for a specific work-related purpose (promotion, career change, etc. ), but also for its own sake. It can also make you more creative, help you find a life purpose and enable you to do work that matters. In addition, your changed life circumstances are the result of you taking the risk of stepping out of your comfort zone. This will empower you to face your fears and tackle new challenges more effectively. This will also make you a better, more active lifelong learner, which will boost your career prospects and improve your chances of financial success. While there are many benefits of taking a study abroad gap year, it’s worth considering that there are some risks involved as well. 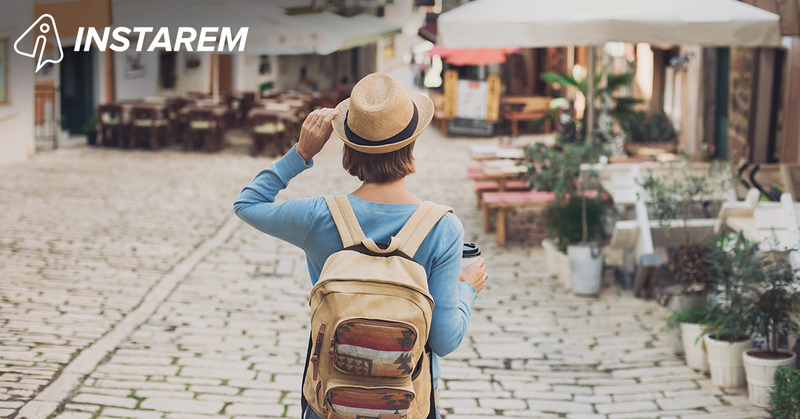 If you’re planning to take a gap year, knowing the pros and cons will prepare you for the decision and its possible repercussions. One of the biggest disadvantages of taking a gap year – and the factor that usually dissuades most mid-level professionals from actually taking the leap – is that doing so could have negative repercussions for your financial health and stability. For the duration of your study, you will be giving up your job and the regular income it generates. This could affect your living standards, especially if you are used to the ‘good things’ in life. Keeping an eye on the future is all well and good since you are sacrificing some comforts now in order to ensure a better future later. However, doing so also involves an ‘opportunity cost’ that you must prepare yourself for before you make the change. Some study programmes are more expensive than others, so in addition to giving up an income, you may also need to dip into your savings to pay for your course. Finally, it is somewhat easier to take a gap year if you don’t have financial responsibilities towards your family. In short, look before you leap! The fear of missing out is another reason why mid-level professionals – even those who are desperately burned out and open to new education opportunities – are wary of taking that final step towards gap-year-hood. By taking a year off work, you may find that you have fallen behind colleagues who were at a similar career level before your break. This may mean missed promotions, fewer career opportunities in future or gaps in work-specific knowledge. If your employer does not support your gap year ‘sabbatical’ (an employer-supported break from work with the option to return), you may be forced to leave your job and start a new job search when you return from break. This can be a very time-consuming and financially/emotionally draining endeavour. In addition, not all prospective employers look favourably upon gap year employees, making the search process even more challenging and demoralising. Mid-level professionals returning from a study abroad gap year sometimes find it difficult to readjust to work life. Changing your profile from employee to student and then back to employee requires multiple mindset adjustments, which is not always easy to do. Also, you may be concerned about the attitude of your colleagues and superiors when you return, and how your future career prospects have been affected by your break. Such worries may make readjustment even more difficult and time-consuming. The Internet is awash with articles about burned out mid-level professionals who took a study abroad gap year and how it made them more productive employees and better human beings. If you’re a professional thinking about taking a gap year, you must carefully analyse both the potential advantages and disadvantages of your choice. Think long and hard, plan well and execute it right; and your study abroad gap year may end up being one of the best decisions you ever make! Cryptocurrencies: The Future Of International Money Transfer Industry?